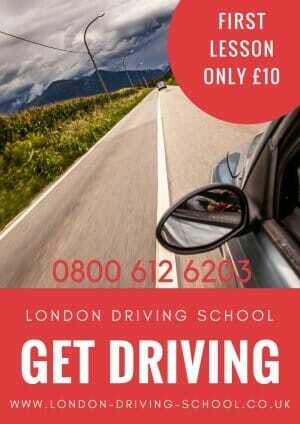 Here are some of the many success stories that the London Driving School is part of everyday. We strive to help all our students achieve their driving goals and dreams as quickly as possible whilst ensuring they are ultimately confident and safe behind the wheel of a car. Call Your London Driving School Today Or alternatively fill out our Free Call Back Contact Form and we’ll call you back today! I intend to be independent and didn’t wish to rely on friends and relatives for lifts. My parents helped me with the cost of driving lessons as they did for my brother too. I had a cool and calm driving instructor who never fretted. No matter how serious the mistakes I made he’d always stay calm an composed. I used to think that driving was difficult, but since I’m getting better so quickly, I now know that it is not that difficult. I’m improving on a daily basis especially when it comes to hill starts! Started with the two-hour lesson, I’m now moved to hourly lessons. The CD that I bought to prepare for my theory test is working wonders. I’m positive about the result of my test and just can’t wait to be there, it all has been possible thanks to my excellent driving instructor. My friends used to tell me the issues they had with their driving instructors arriving late. Not the case here, I’m more than satisfied with LDS Wimbledon. The easily maneuverable and controllable Ford Focus you simply cannot fault and is a joy to learn to drive in. My driving instructor told me honestly the number of driving lessons I would need and he was pretty spot on. Initially I had difficulty in reversing around corners. My driving instructor was very patient and allowed me to take as much time as possible and we’d always do extra practice on this. Driving does get easier and easier if you listen and stick to it. That is the simplest advice I can give to anyone who is thinking about learning to drive. Every Tuesday, I would take a two-hour driving lesson and after a month or so, by the second hour I felt that I was really improving. Although I had serious issues with reversing, but my instructor took me to quiet corner of a supermarket carpark where I could learn without the fear of getting in the way or blocking other vehicles, as I tended to get a bit flustered when put under pressure. He took some out-of-the-norm measures but they have worked wonders for me. With my theoretical test scheduled next week and my online practice getting better, I simply cannot wait to pass my driving test and get behind the wheel of my own car. If you are planning to learn to drive – Just try it and do it! Trust me; you’ll realise its worth it.